I’ve struggled with my weight for my entire life. There were many positive reviews for the Weight Watchers diet, so I decided to try it. I never really went on a “diet” until I turned 20. I’d gained quite a bit of weight after I graduated from high school and wasn’t happy with myself. I needed to be healthy again and I wanted to have a positive body image, so I started researching diets and which one was the most successful. I went to a Weight Watchers meeting and realized there were plenty of people out there who struggled just like me. 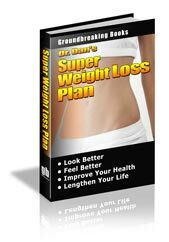 There are two options for losing weight in this program and I chose the core program. On this program, a person is allowed to eat certain foods on the list. There was no need to write down what was eaten unless you wanted to and you could eat as much of the foods as you wanted (within reason, of course). The core plan was very easy to stick to and it taught me a lot about self control and discipline. I needed to eat a certain amount of fruit and vegetables daily and drink about eight glasses of water. I was also allowed a certain amount of freedom so that if I wanted to treat myself to something delicious like a slice of chocolate cake, I could do it guilt free. I’m 25 now and I’m still on this “diet”. I’ve lost 100 pounds and I’ve been able to maintain my weight, although it can be a bit of a struggle on occasion and I do give into temptation now and then. I feel that it’s definitely worth it to live a happy and healthy life. I’m able to eat at restaurants and I can keep track of what I eat and how many “points” a certain food is by looking in the Weight Watchers book. I don’t go to meetings anymore as I’ve learned more about my body and needs – plus, I have my own group of family and friends who support me and I can come to when needed. I’d definitely recommend this to others; the program is quite easy to understand and it’s always great to find others who are in the same boat as you are.